Our off-site catering services bring Café Dupont’s signature dishes and flavors to your location. 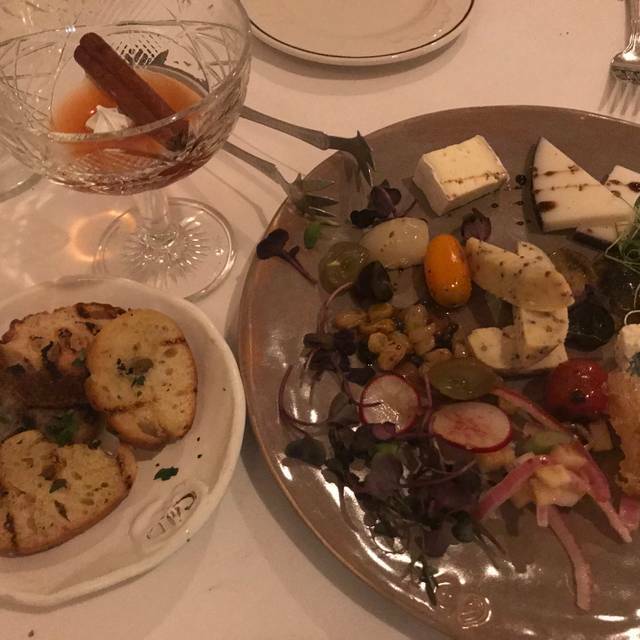 Whether you’re planning a sit-down dinner or a cocktail reception, Cafe Dupont delivers the freshest tastes of the season to your event. For private dining, you’ll find our upstairs loft to be a gracious setting for any social or corporate event. Expansive windows look over historic 20th Street, the main avenue through downtown Birmingham, and period lighting and exposed brickwork warm the space. The openness of the loft allows each event to be distinctive, combining individual style with the consistently delicious dishes of Cafe Dupont. The loft can be adapted for any occasion, including private dinners, receptions, business meetings, bridal luncheons, rehearsal dinners, and celebrations of any kind. The room can accommodate up to 60 for a seated meal, up to 80 for a reception, and up to 40 for a meeting or educational seminar. Our experienced staff will help with all elements of your event, from choosing the ideal menu to coordinating the room’s décor. Located in a storefront building that dates to the 1870s, Cafe Dupont is modeled on a traditional bistro. Exposed brick walls, original floors, and high ceilings reflect the building’s history, while the menu reflects a fresh perspective on regional ingredients. Come savor the flavors of the city's most inspired seasonal cuisine, and discover why Southern Living magazine calls Cafe Dupont "Heaven." Visit Cafe Dupont in Birmingham’s emerging downtown Northside for lunch, dinner, or private dining in our historic loft. During a one night stop in Birmingham we ate at Cafe DuPont on the recommendation of a friend. 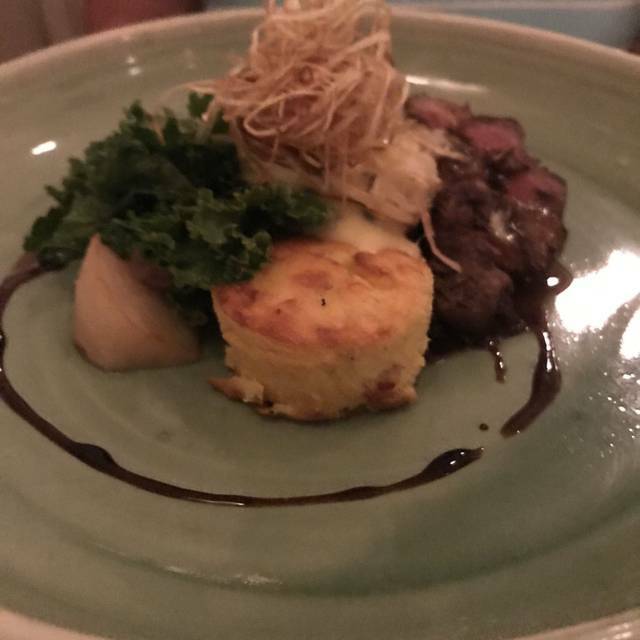 It was simply outstanding with a classy interior, wonderful service from Conner, and outstanding food and wines. We will go back next time our travels take us there. The service was impeccable. The food was delicious. The atmosphere lively but a little too loud for me when the room was full. It wouldn't stop me from recommending Cafe Dupont to a friend though. My husband and I had a wonderful experience at Café Dupont. The food and atmosphere was excellent. I have Celiac and it's hard to eat out. 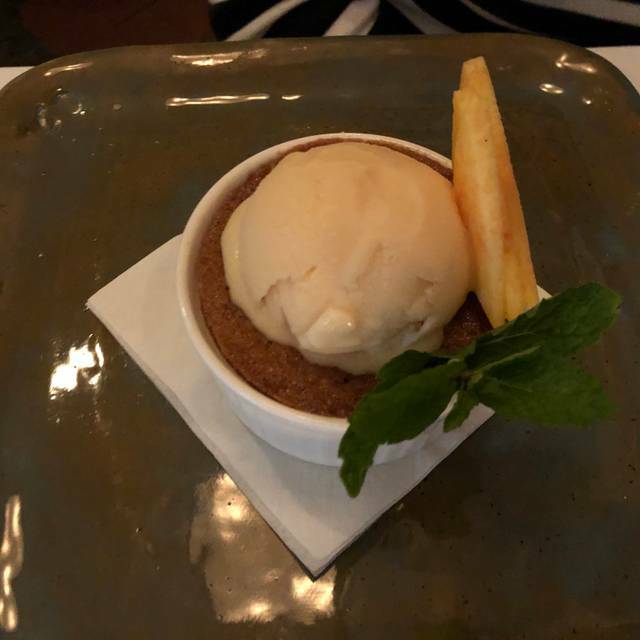 Dining at Cafe Dupont was a stress-free experience for my husband and me. 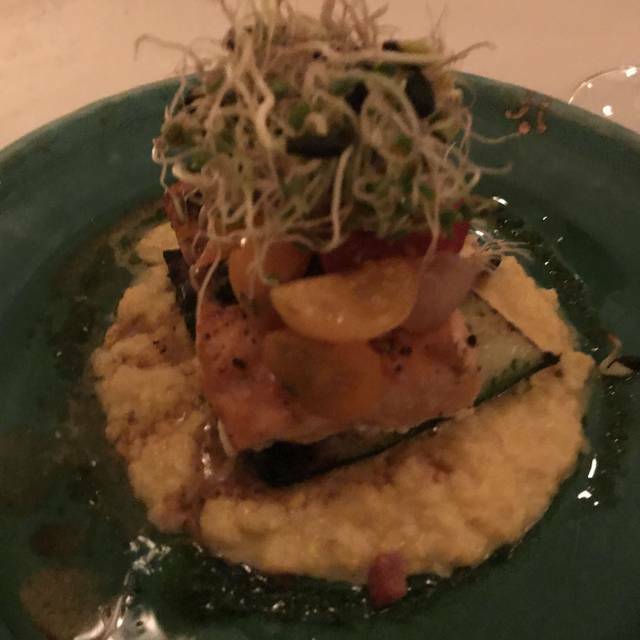 The food was outstanding, and the staff completely understood my dietary needs, making the entire meal a pleasure. We will be back! Amazing food and service! 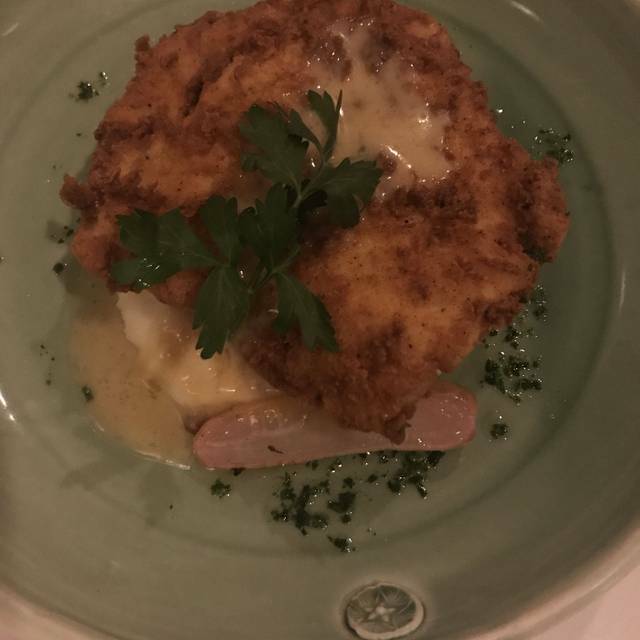 Fried chicken is fabulous with the truffle potatoes. Came in with a group of clients..great food and service. Very charming ambience. Attentive service. Vegetable plate pretty and delicious. Just mediocre. Martini was a “mini-martini”. Food was luke-warm. Just not impressed. Excellent all around. A really nice find! The service and food were terrific ... the noise level surprised me. We were not in the middle of the room, even so, it became very difficult to hear across the table. It seemed the wait staff was all very young and inexperienced. Good place for business. Tables are far enough apart and noise level is not too high. I have been there three times and the food has been consistently excellent and the service nicely paced and not intrusive. We were a party of five and were there almost two and a half painfully long hours. It took our server an eternity to come to our table and take a drink order and then the drinks came 20 minutes later. Some of our food orders came out wrong and due to the length of time it took to get them we ate them. 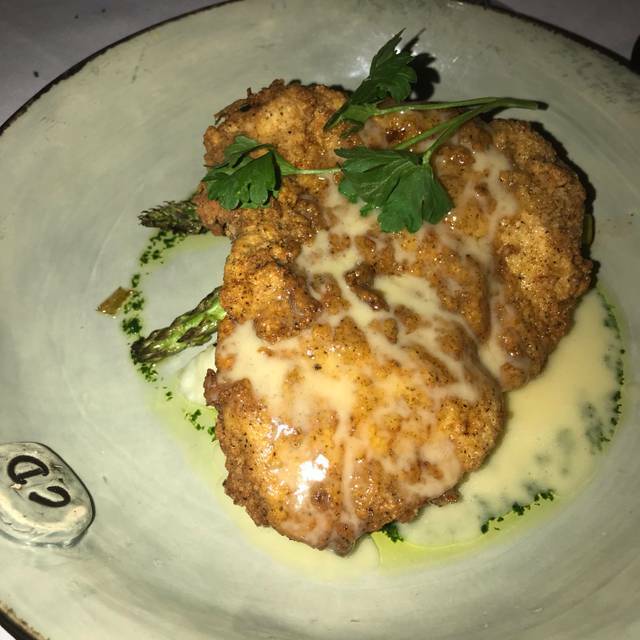 The food was warm at best and the only hot item was the fried chicken breast. The wait once again for our server to get another round of drinks took an eternity again and ordering dessert even longer. We were there two weeks ago and the experience was supurb! Don't know what was going on the 16th but we were not the only customers not happy. We will not be back for a while ! Delicious food. Attentive wait staff. Good special night out dinner. The meal, service and atmosphere are all great. It's pricey, but not outrageous. I would absolutely recommend it to a anyone looking for a nice/romantic evening. I have been to Cafe Dupont twice and both times it as been amazing. This time was for my husband's birthday. The mixologist was brilliant. We were able to tell him some vague idea about what we like and he made us custom cocktails that were unique, refreshing, and delicious. The food was also fresh and well-crafted. Do not be afraid to try the vegetable plate because it is so far beyond "just some vegetables." 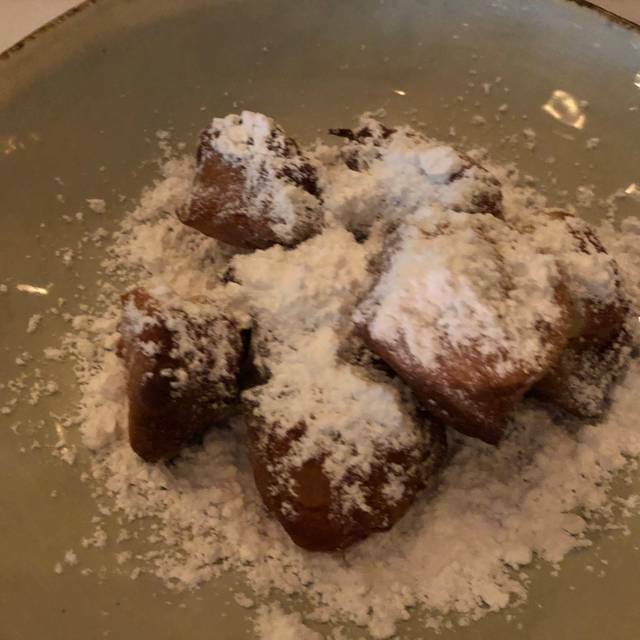 Since it was my husband's birthday, the waiter brought some champagne and beignets as a treat. We had a great meal on a date night. Service was prompt. I can recommend the charcuterie appetizer especially. The room is small so it can be loud if a large table is having a good time. The food was ok, nothing spectacular. Was not worth the price at all. Overpriced, a little stuffy. Bar ambiance is cool though, and had one of the best Old Fashioned's I've ever had. My husband and I are impressed with the wait staff. 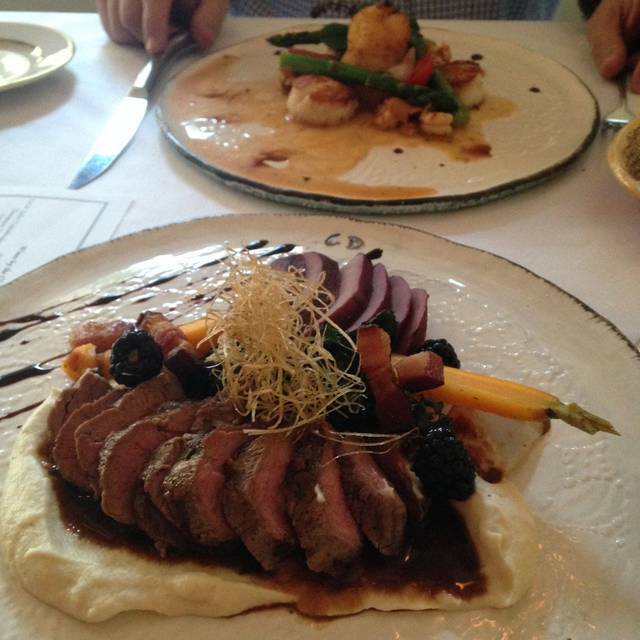 We always feel special when we dine at Cafe DuPont. Food was excellent as always. Sad they did not have fresh fish…..the main reason we splurge and come here. Great evening! A+ service and food. Highly recommend. Easily made reservations online. The entire staff were courteous and professional including the Valet attendant. I enjoyed the poached pear appetizer and roast duck entree. Food and service were amazing. I would recommend to anyone! Excellent food. 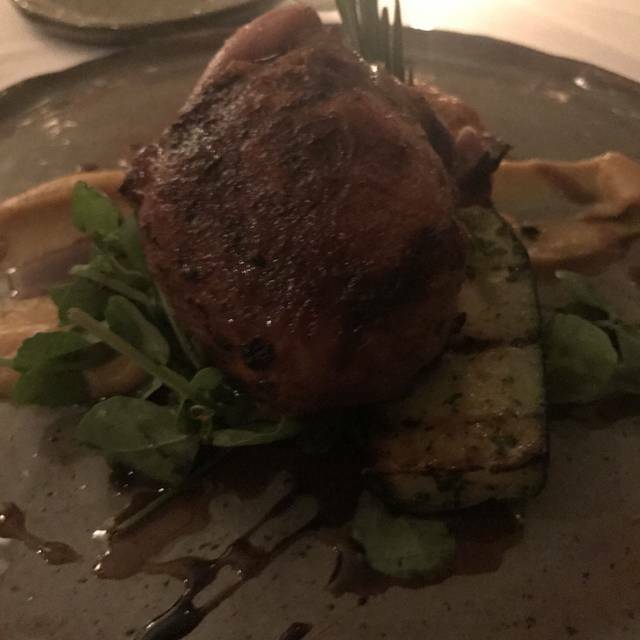 My pork and quail was to die for. It took a little while to be waited on, but once our waiter got started it was awesome. Always amazing. Ask for wine pairings! Horrible service. Entire wait staff was extremely non-attentive. Food was cold, but good. We celebrated Valentine’s Day later than everyone else. Everything was perfect from food, to service, to ambiance. Our waitress made sure all questions were answered before we ordered. Our cups never went dry. Thank you for a perfect night out. We will be back. It was amazing. Everything was amazing, especially the food. We were there for valantines day and there was a fix four course menu which we were told ahead of time. We had asked if there were going to be vegetarian options since my wife is a vegetarian and was advised yes but they only vegetarian option was for third course and desert. I wish we had been more clearl about this but someone should have explained to us little more in details when we got the call to confirm the reservation. All in all we enjoyed our time and would recommend this restaurant. We were there for Valentines Day dinner. Lighting was nice, but too noisy making conversation or hearing server difficult. I enjoyed my scallops and our other selections but my husband thought his ribeye was only average.